Scenes From a Southern Life: Happy Friday! Can you tell that Isaac's two bottom teeth are missing? The other teeth are already growing in! They are so cute. 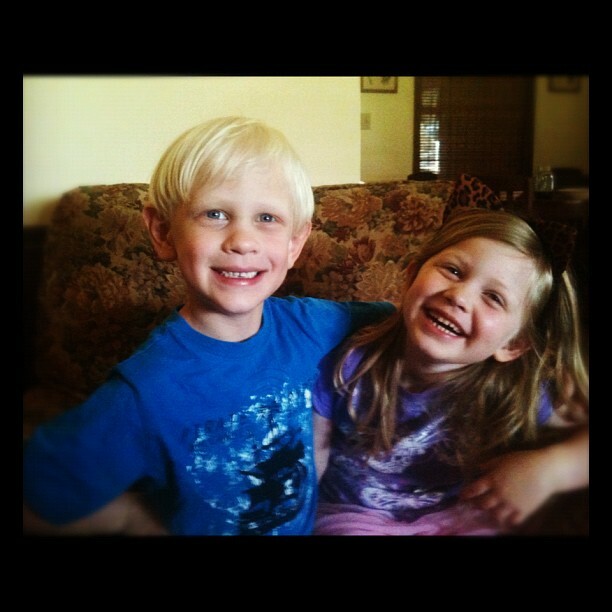 It is nice (and funny) that Savannah is proud of Isaac for losing his teeth. Also, please vote in my poll for my new blog name.